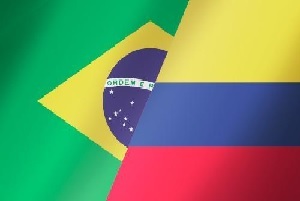 Brazil will face Colombia in their next game of Group C.
Both teams have great players and play attacking football. Brazil has already won their first game against Peru in added time with 2:1. It was an interesting game with a lot of opportunities for both teams. On the other hand Colombia lost their first meeting against Venezuela with 0:1. To be honest this result was a bit surprising for me because in my opinion Colombia is a way better team. It will be an open game cause the guests need points in order to keep their chances to play in the Play Offs. They have the potential to win against every team in Copa America. It is very difficult to predict who will win this clash,but no doubt there will be a lot of goals in it.